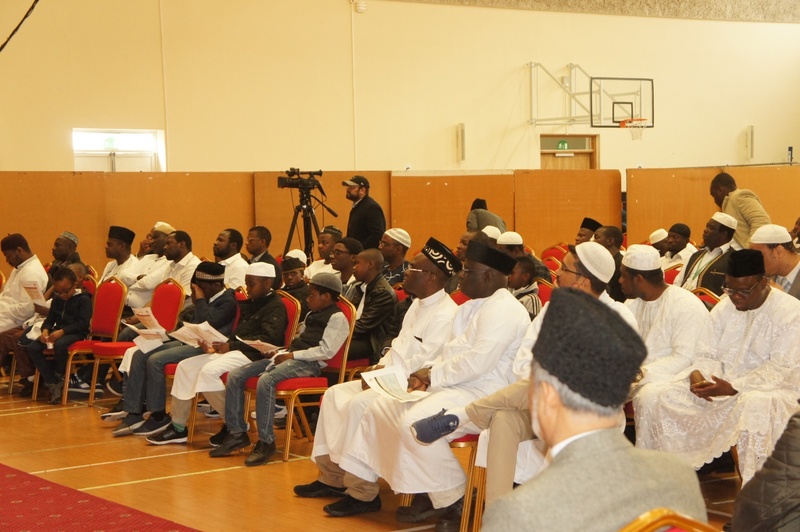 On Saturday the 15th April 2017 the Pan-African Ahmadiyya Muslim Association (PAAMA) UK held its first ever National Ijtema at Baitul Futuh. 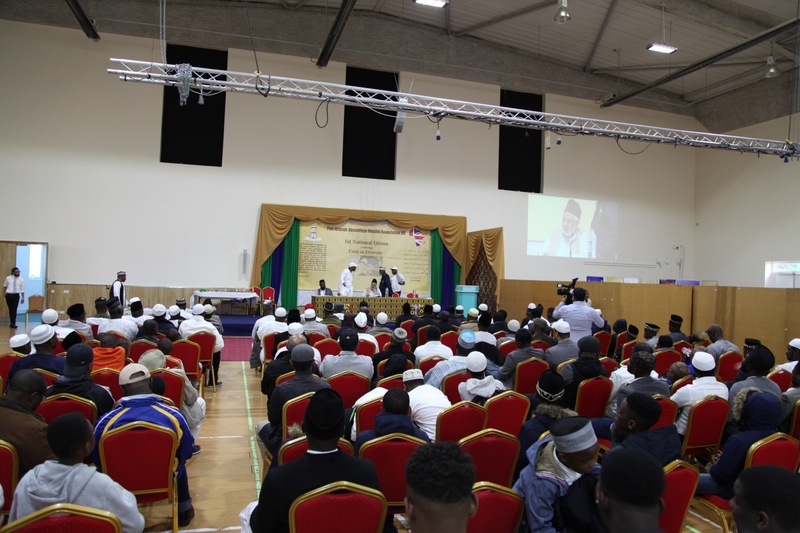 The event which was well attended by nearly 400 PAAMA men, women, boys and girls from across the UK started with Tahajjud and Fajr prayers followed by breakfast and registration after a short break with formal proceedings starting by way of a joint Opening Session. 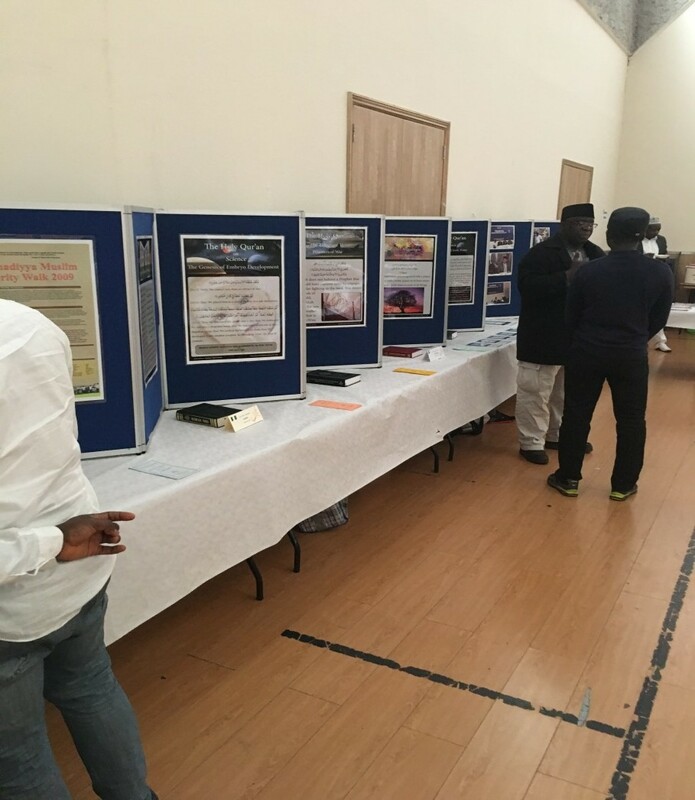 As is customary, the programme commenced with registration of attendees and an exhibition showcasing PAAMA activities and a display of various Jama’at literature. 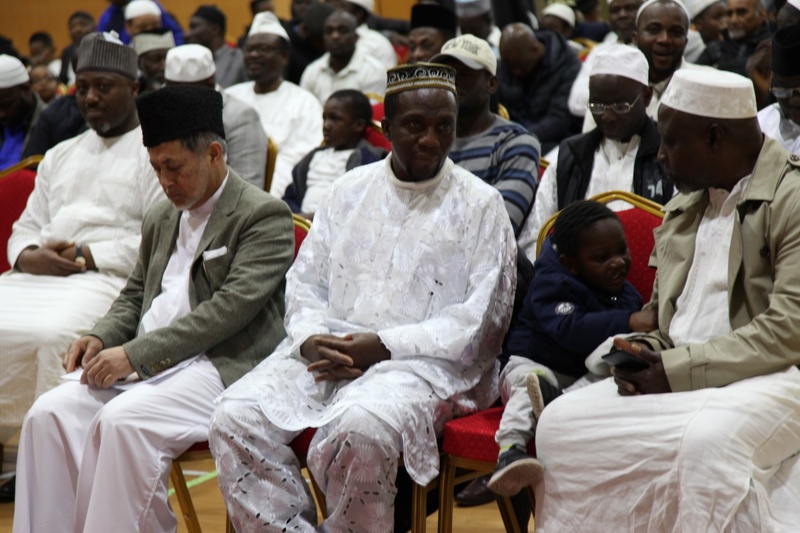 After members and guests were seated the programme officially commenced with the recitation of the Holy Quran by Lamin Jawo Sahib and an English translation by Fadlullah Afolabi Sahib. 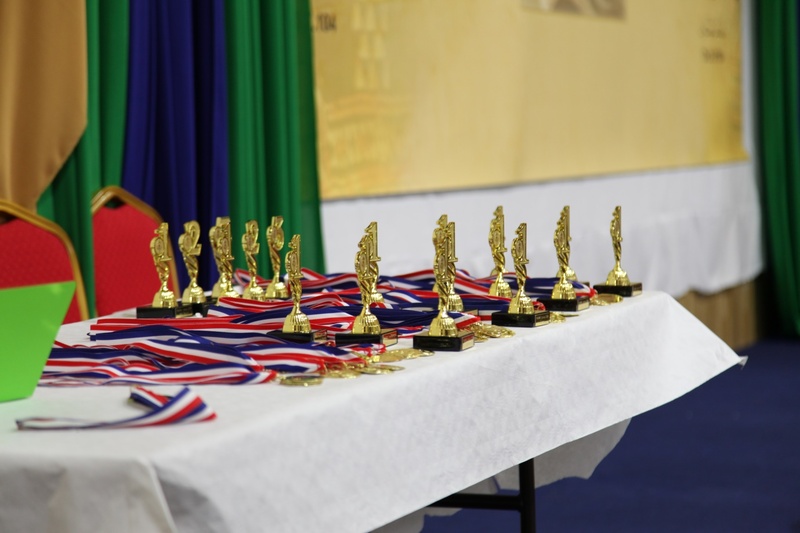 President Tommy Kallon Sahib gave his opening remarks during the Inaugural Session of the event. 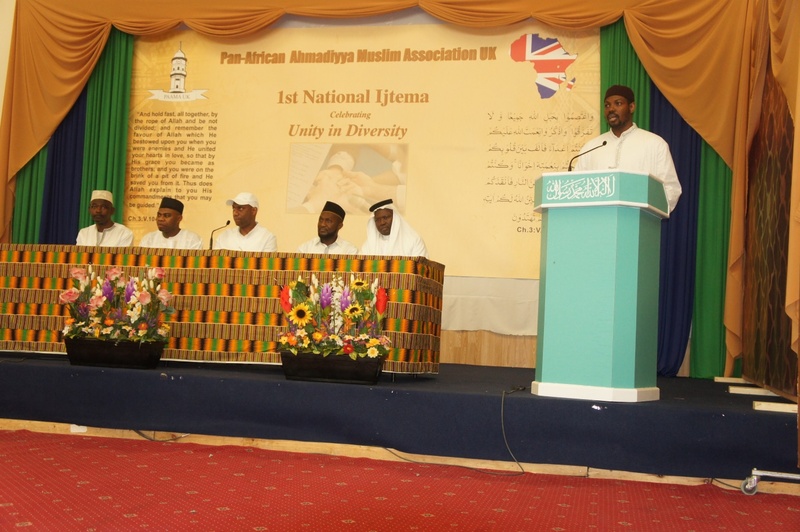 In his remarks he reiterated the blessings bestowed upon PAAMA by Huzur. 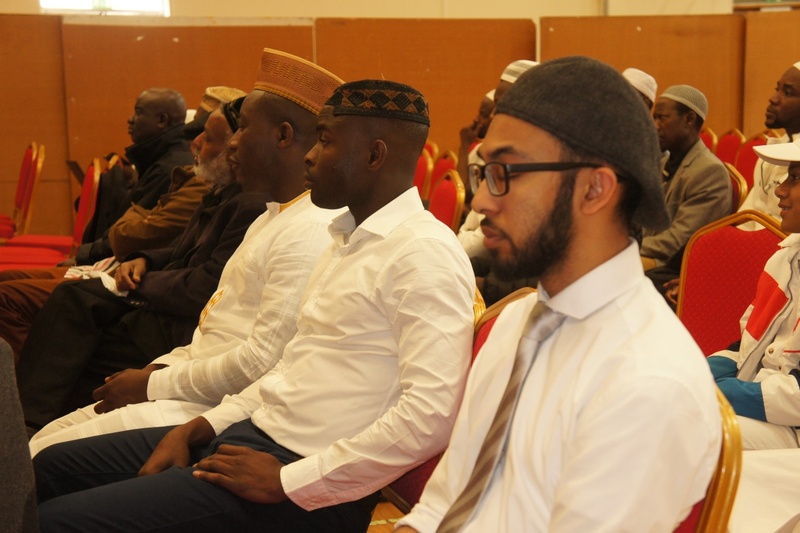 He also reminded delegates that the Ijtema should not be used as a means for idle chatter but used as a medium through which PAAMA members interact and know each other from wide and far in the country and importantly seek to increase our knowledge and understanding of faith. 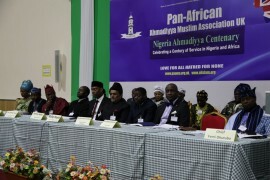 The Session concluded with silent prayers. 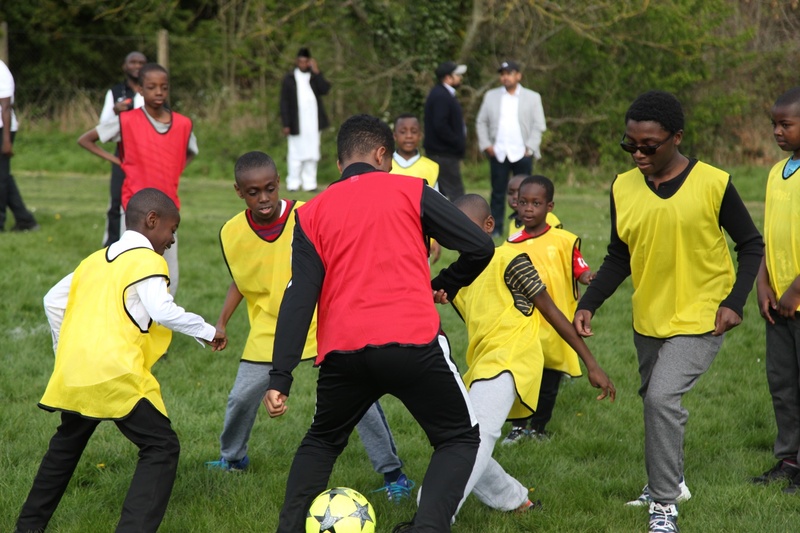 After this the academic competitions commenced across all Tanzeems and ages groups: Lajna in the marquee, Nasirat in the mosque, with Ansar, Khuddam and Atfal remaining in Tahir Hall. 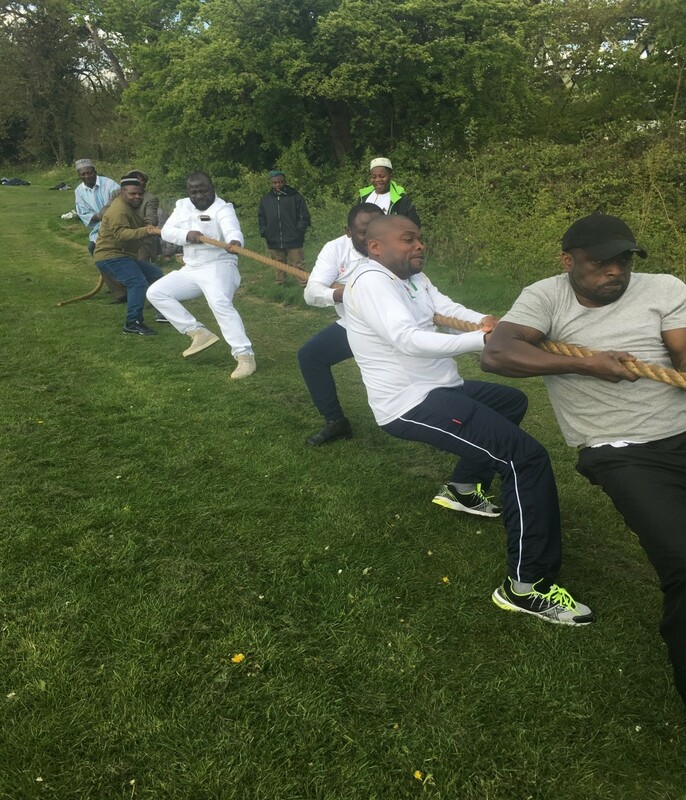 These continued through to lunch and Zuhr prayers, following which we had a most enlightening discourse on the topic Khilafat – the Rope of Allah by Rasheed Baokye Sahib. 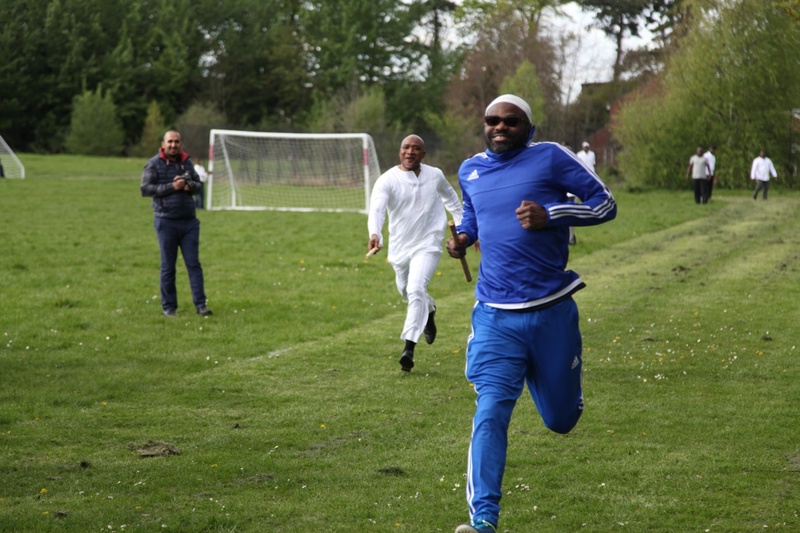 The sporting events commenced after lunch and delegates were enthusiastically engaged in various sporting activities on the sporting grounds including football, Tug of war, 100 metres sprint, relay races, three-legged race and various other activities. 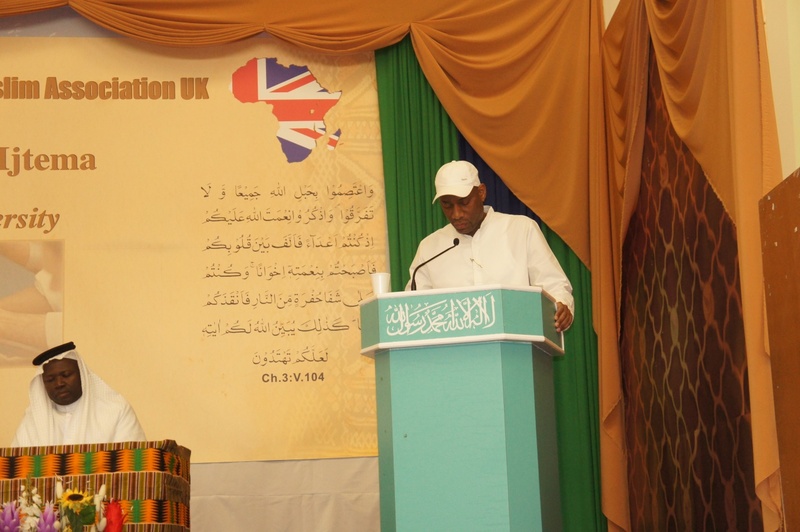 After Asr Prayers, the Closing Session, presided over by Respected Mansoor Shah Sahib, Acting Amir UK, commenced with recitation of the Holy Quran by Umar Sanda Sahib and English translation by Hassan Mohamed Sahib. 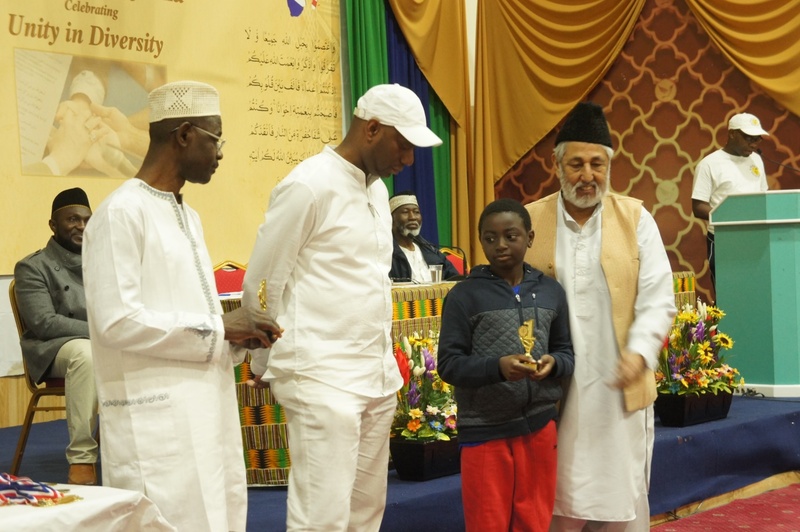 The Second and Third Prize distribution was done by Issah Wemah Sahib former Chairman PAAMA UK following which the Ijtema Report was presented by PAAMA President Tommy Kallon Sahib. 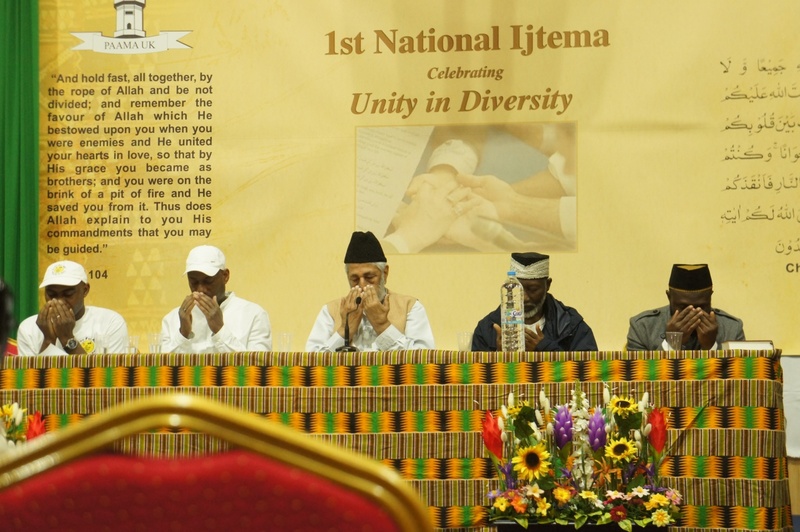 In his report, he thanked Allah through Whose grace the Ijtema was being held and expressed gratitude to Hadhrat Khalifatul Masih for his gracious permission to hold the Ijtema. 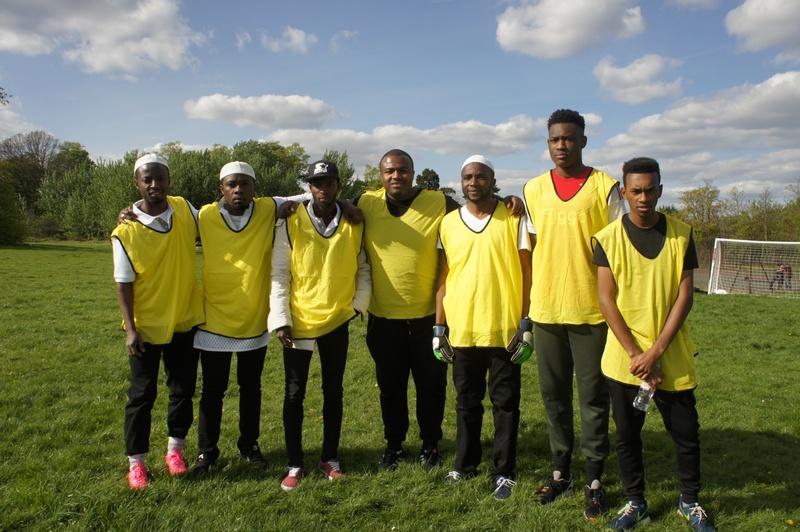 He reiterated the theme of the Ijtema, Unity in Diversity, and expressed the importance of this theme as exemplified in PAAMA’s various diverse backgrounds. 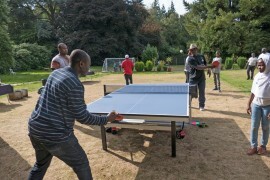 The reported attendance was 193 boys and men, and 160 ladies and girls, with 30 guests recorded making the total attendance as 383. 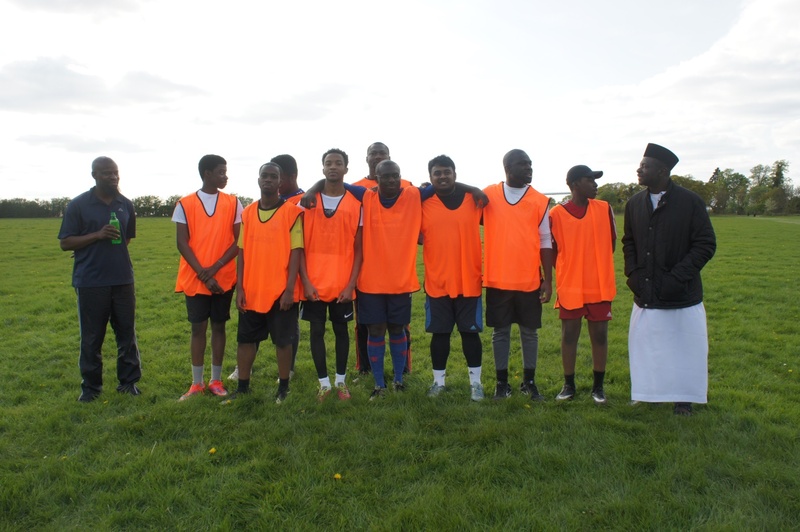 Next was the First Prize Distribution for academic and sporting events first on the ladies side followed by the gents with prizes given out by Mansoor Shah Sahib. 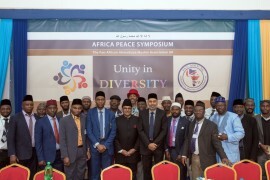 Acting Amir Sahib reminded all that all humans come from the same origin and that the only reason Allah created differences in humans is to enable us identify one another and nothing else. He reiterated that Khilafat is the unifying force that binds us together and ensures we have unity notwithstanding our diverse backgrounds. The event concluded with silent prayers led by Acting Amir, Mansoor Shah Sahib.